iPhone cases come and go, there is no doubt about that. The thing is, I do wonder how many of them tend to lean more on the functional than the fashionable side of things? 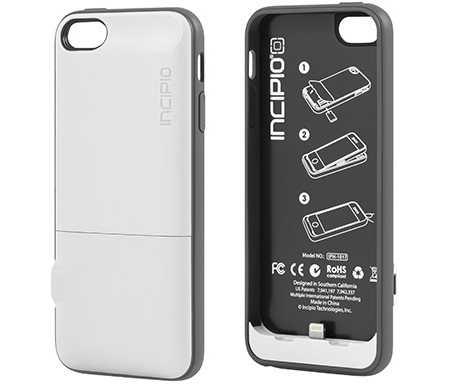 Incipio is surely a name that many people would have been familiar with, and their latest outing comes in the form of the Cashwrap Mobile Wallet Case. Hmmm, this is starting to sound rather interesting, don’t you think so? The Cashwrap Mobile Wallet Case will be made available online for $69.99 a pop, where you can also opt to pick it up from brick and mortar AT&T company owned retail locations at the end of this month. What makes the Cashwrap Mobile Wallet Case so special from all of the other smartphone cases in the market? Well, there is more than just protection associated with this bad boy, as the Cashwrap Mobile Wallet Case will set the standard for secure contactless payments for iPhone 5 and 5s, where this particular product delivers superior protection as well, all the while throwing in the convenience of Near Field Communication (NFC) technology that iPhone users will be able to enjoy. With the Cashwrap Mobile Wallet Case from Incipio, consumers who happen to own an iPhone 4, 4S, 5, and 5S are able to make use of the Isis Mobile Wallet so that they can make their purchases at compatible stores with but a simple tap of their smartphone. The Cashwrap Mobile Wallet Case will also be able to hold participating payment and loyalty cards, in addition to offers. This is in fact, the only NFC mobile solution for iPhone 5/5s as at press time, now how about that? Considering how variety is the spice of life, we are more than pleased to bring you word that the Cashwrap Mobile Wallet Case for !T&T will arrive in different color combinations including Black/Black, Pink/Gray and White/Gray. Not only that, each purchase will come with a secure element microNFC and Micro-USB cable. I do wonder if there will be any security issues with this. Say if someone were to steal your phone, would they be able to make payments with it?